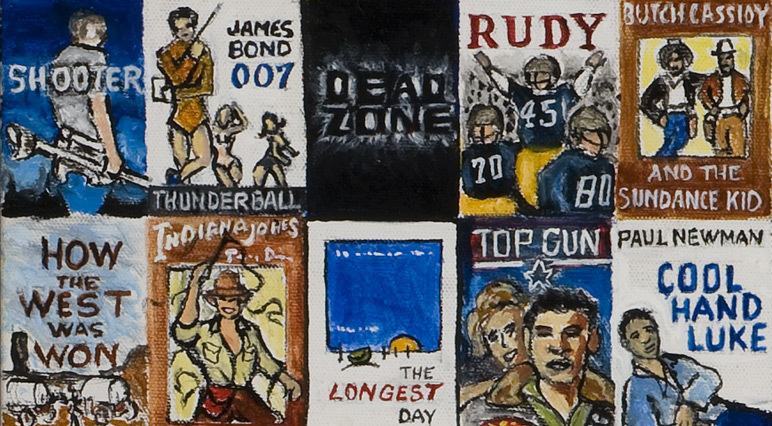 Tom is working on yet another exciting new project again, a bit removed from his typical sports themed work. 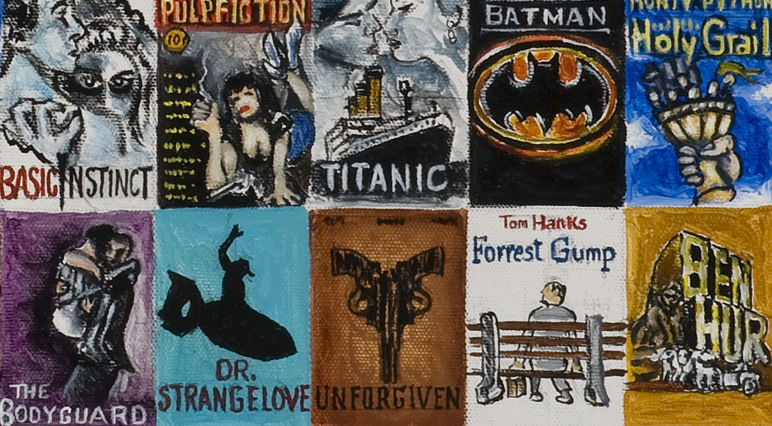 Classic Movies is a compilation of classic movie covers created with the same whimsical style Tom has become so well known for. 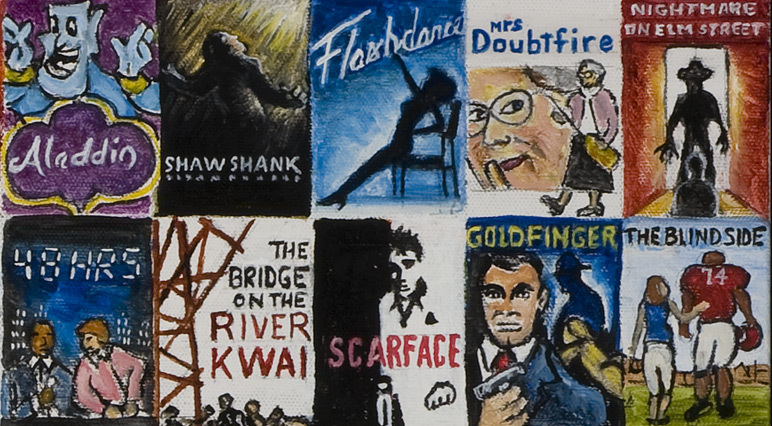 Classic Movies -- Painting profiles -- Use controls to view all images. 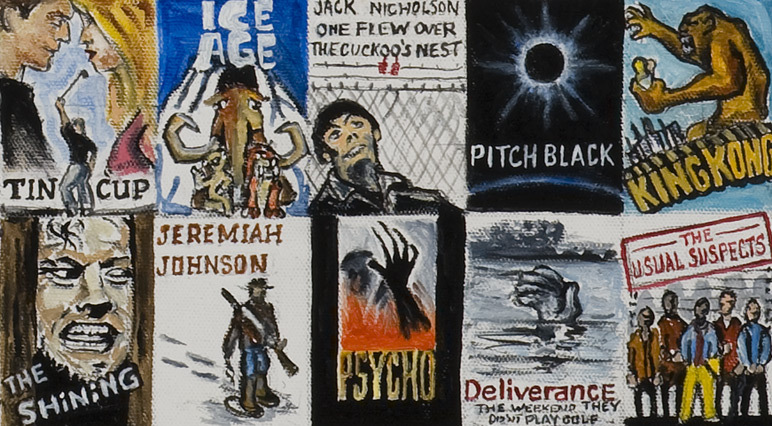 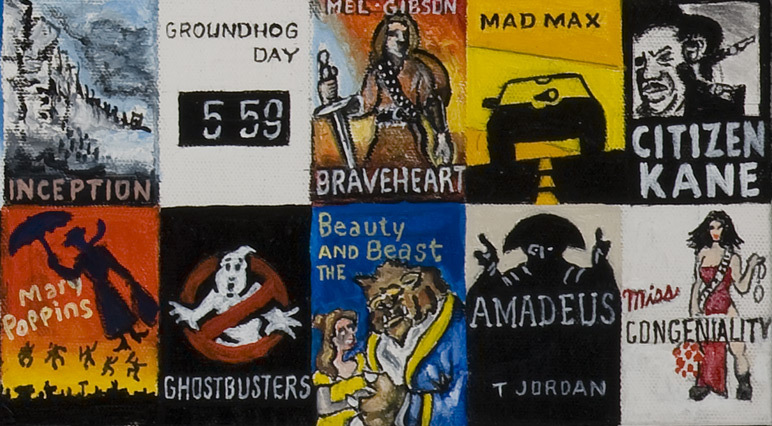 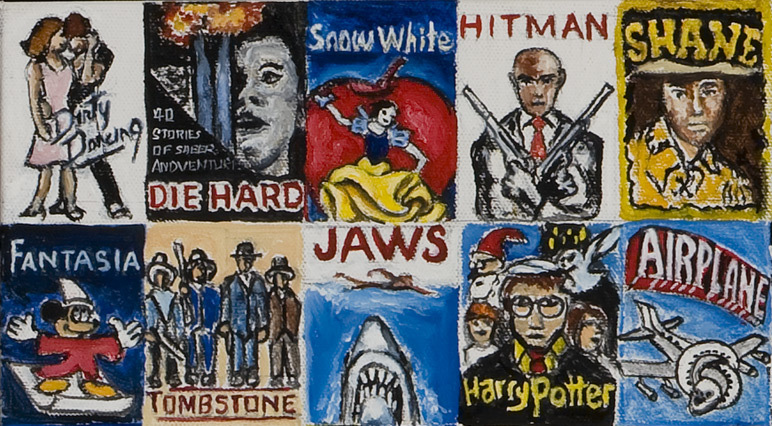 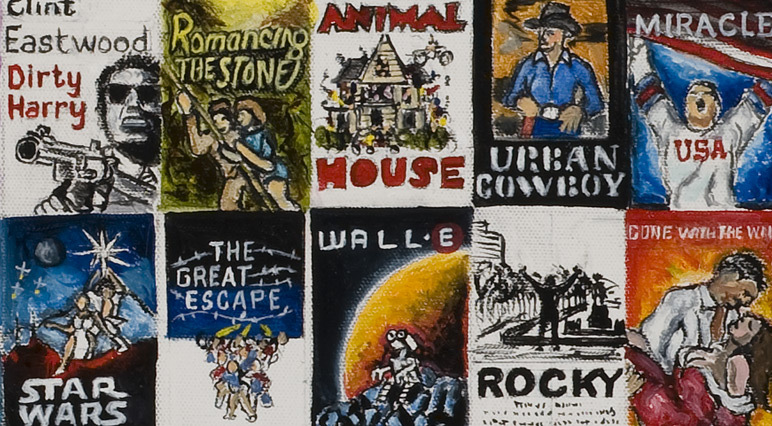 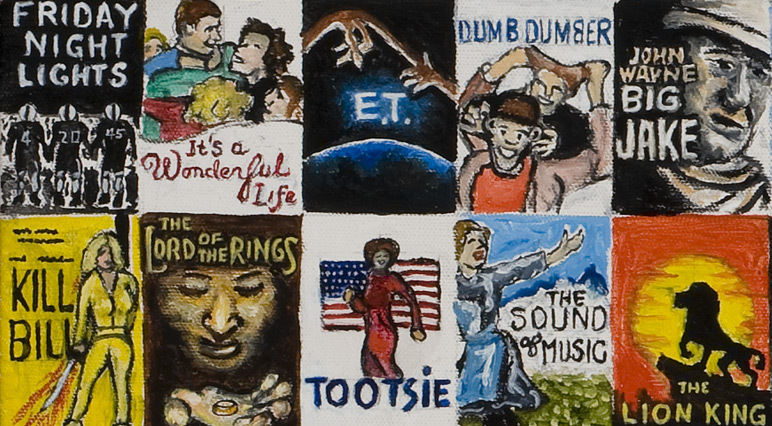 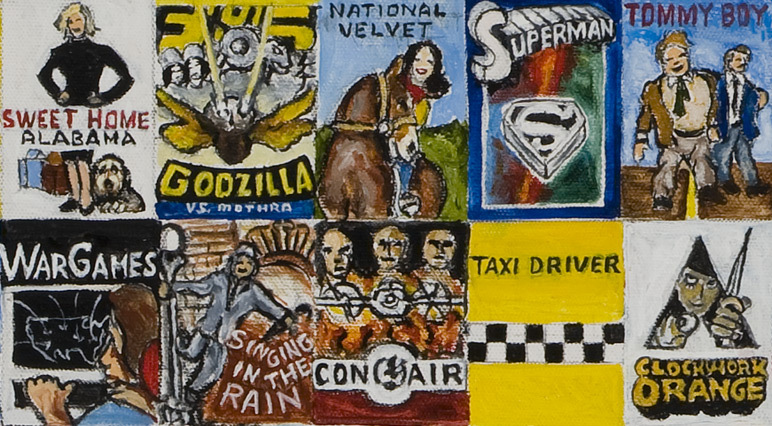 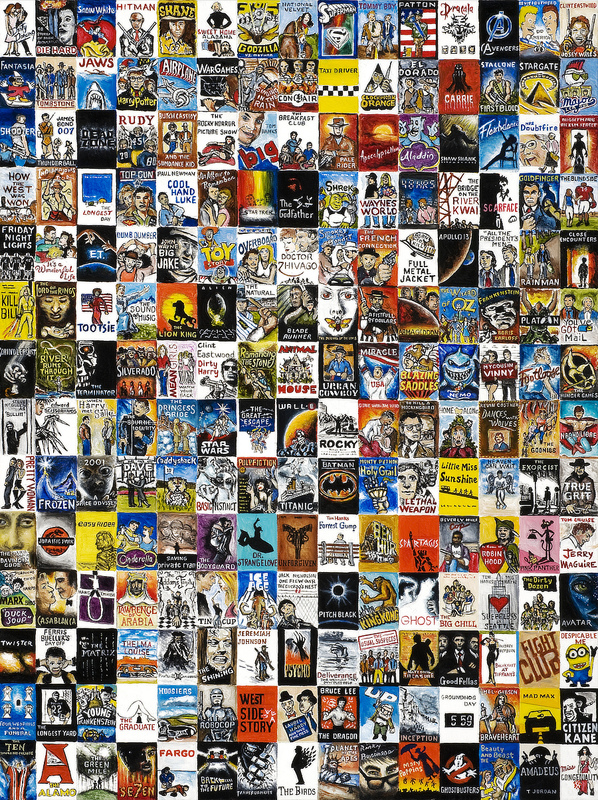 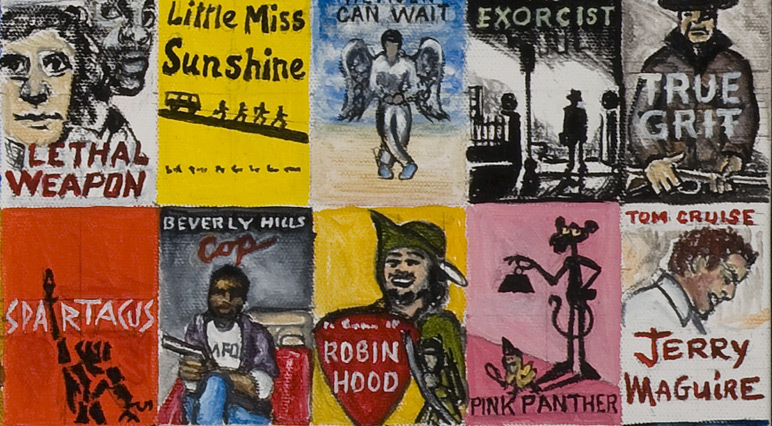 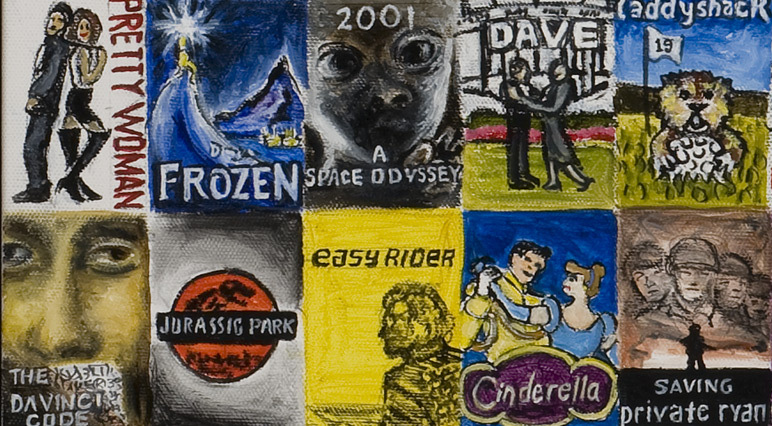 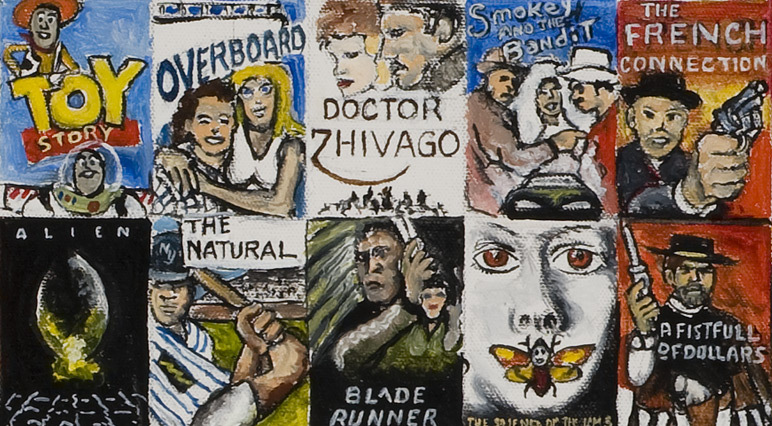 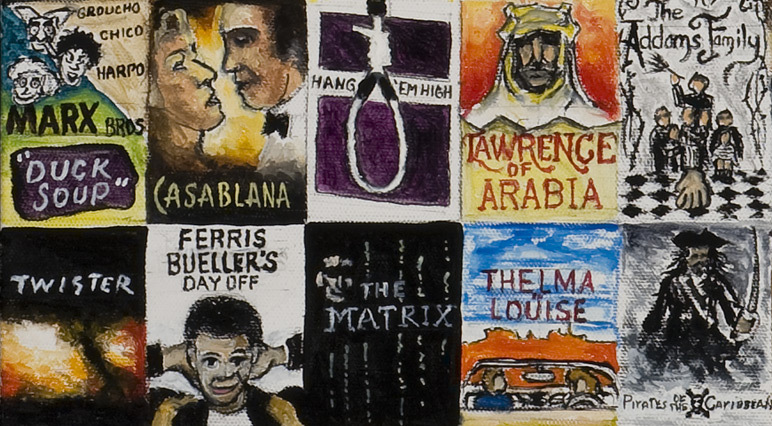 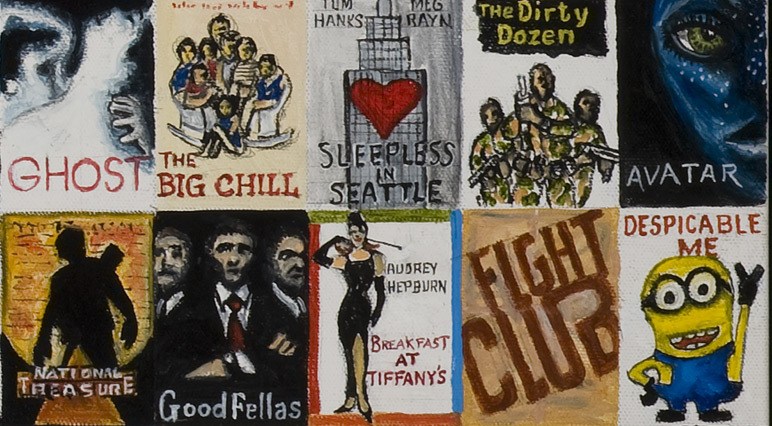 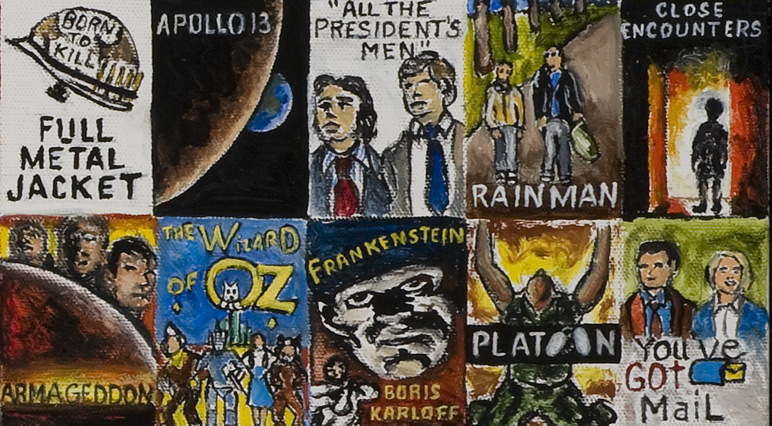 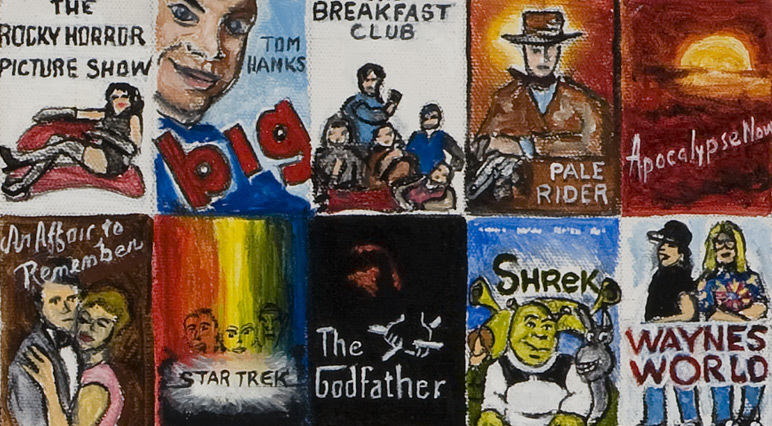 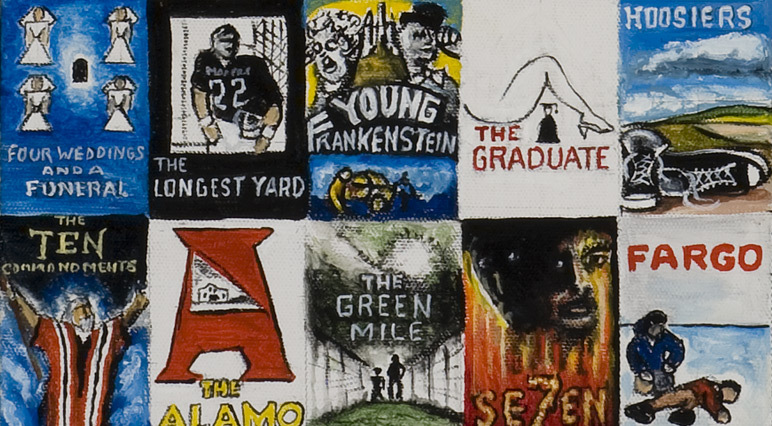 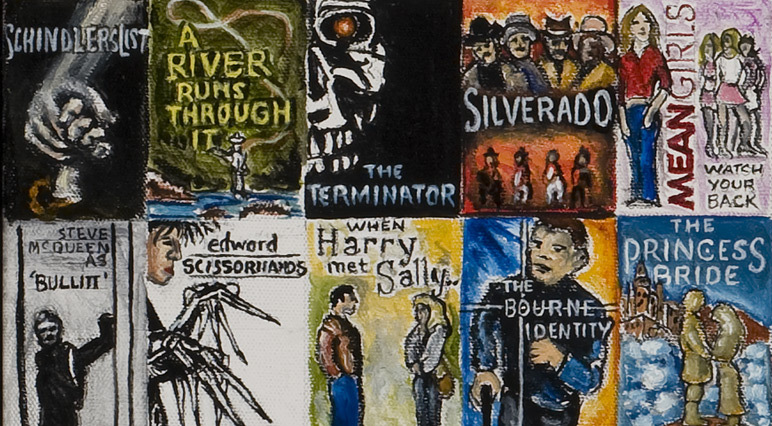 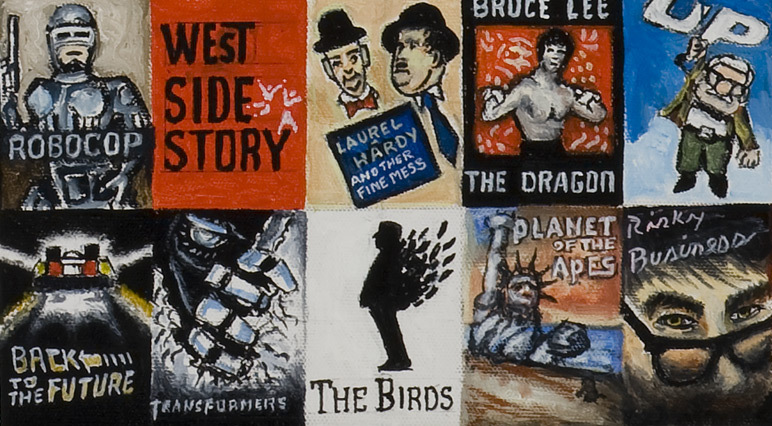 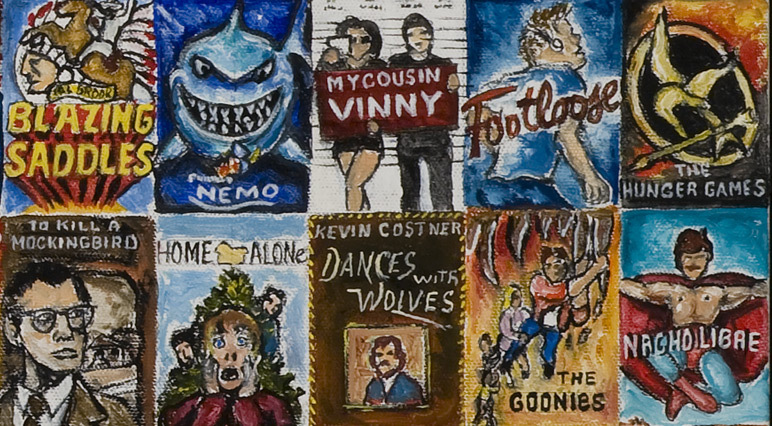 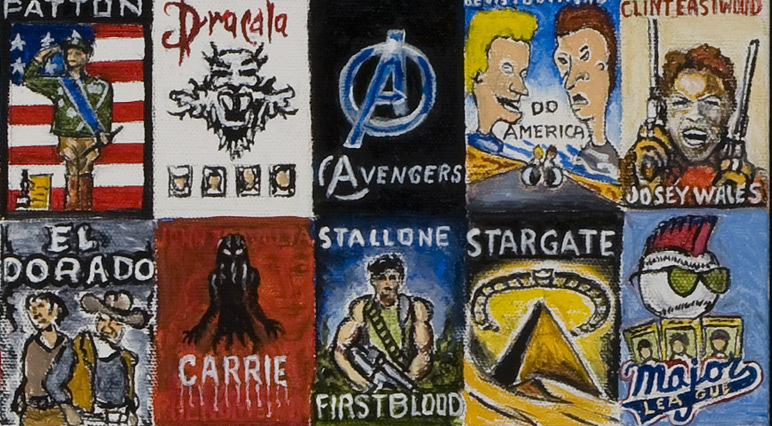 Leave a comment along with YOUR favorite classic movie cover and it may become included in this painting.